2. This grapefruit that is very embarrassed you've seen it like this. 6. And this strutting parsnip. 9. The colour of them...I mean it. 13. 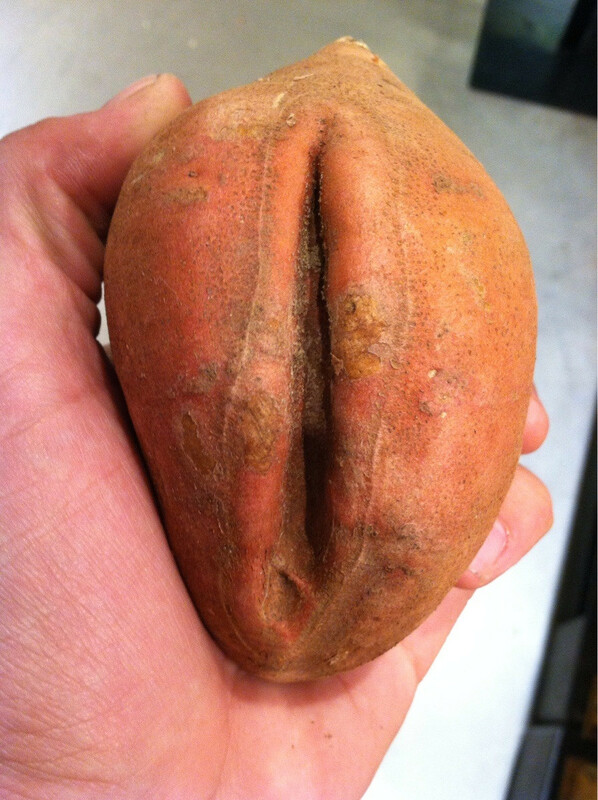 This completely innocent sweet potato. 18. This grape having a pap smear. 20. This strawberry that's pleased to see you. 23. This pepper that is way too up for it, frankly. 24. This Cox apple, not living up to its name. 25. This tomato in labour. 27. This tomato that lives for sauce. 28. This naughty little pear. 29. What? It's just an oyster. 30. This meat that is definitely just some meat in the supermarket. 32. This butter. IT'S JUST BUTTER. 33. This Olivio. IT'S JUST OLIVIO, IT'S GOT A RICH BUTTERY TASTE, THAT'S ALL.